After the assassination of German diplomat Ernst Vom Rath in Paris by a 17 year old Polish Jewish boy, all hell broke loose November 9th and 10, 1938 in Germany. Hitler’s SA Nazis, along with a multitude of German civilians went on a rampage never seen before of that magnitude. They burnt to the ground 267 Jewish synagogues, ravaged 7,500 Jewish owned businesses, and most horrific, beat, tortured and even raped. Thirty thousand Jewish men and boys were rounded up and shipped to concentration camps, many never to be seen again. Blaming the victim for all this, the German government issued a one billion Reich mark atonement tax on the Jewish community. Laws were then passed to ultimately deny German Jews their basic citizenship and rights as human beings. The pogroms went on into Austria as well, with Austrian Nazis and their sympathizers doing equally horrendous deeds. As historians of any note fully realize, Kristallnacht paved the way for the Final Solution, replete with gas chambers and crematoriums. These anger filled thugs could have easily chanted ‘Jews won’t replace us’ as they did their dirty deeds. 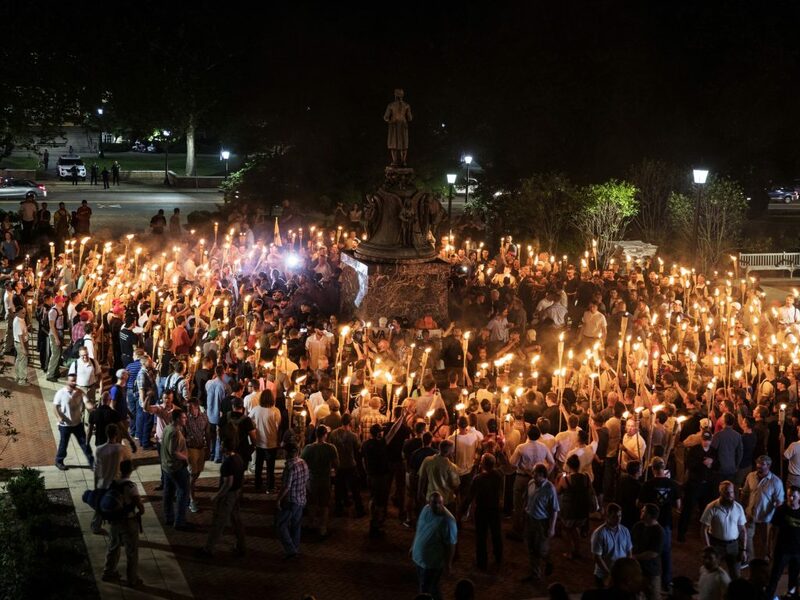 Almost 80 years later, the usually serene college town of Charlottesville, Virginia heard the chants of ‘Jews won’t replace us’. We all saw and heard the marchers that night carrying those Nazi like torches and chanting that phrase… over and over. Our fine president, after surmising all that occurred between what the media labeled the Alt Right and Alt Left, was more than charitable. He simply said that there were ‘nice folks’ on both sides of the skirmishes. I for one did not hear or see the following: Jewish folks working for the Trump administration, Jewish supporters of Trump and the Israeli government showing outrage at his remarks and handling of it all. Imagine for a minute if it were a march by Palestinian Americans carrying those torches and shouting that phrase. Imagine if it were a march of Black Americans shouting ‘Whites won’t replace us’. Just you imagine. When we as a culture allow such terrible actions to be conducted, the ‘skies that limit’. When some of our police officers (a small minority) start shooting unarmed people, many who happen to be Black, and there is not enough outrage by the majority of us… sadly the signs point to a coming ‘Police State’. When peaceful protest is restricted or now even taxed with fees, that ‘Police State’ is around the corner. You know, look at that Charlottesville incident closely. By many accounts the local police were actually told to ‘Stand down’ as the two opposing protest groups were nearing each other. Why? Was it to allow for what then happened? The more there is such conflict and street violence, the more those who run things can use for a coming ‘Police State’. All Trump did was exacerbate things by giving a pass to those Neo Nazis. The same thing is happening throughout Europe, as more countries are experiencing this new Neo Nazi upsurge. Over there the main focus is on all those refugees from places like Libya, Syria, Iraq, Afghanistan, Yemen to name but a few. Why are there so many refugees? Well, ask yourself if our government, from Bush Jr. to Obama and now to Trump, did not intercede in those nations to cause such chaos? Sadly, for those of us who truly love our nation, the frustration levels are higher than ever before! During the Vietnam era things were terrible, but now…. 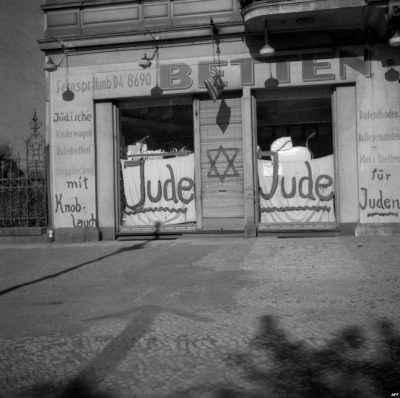 when will the next Kristallnacht occur?